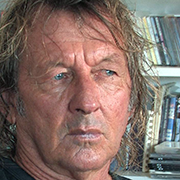 Australian film producer and photographer Hoole shot the surfing film classic Tubular Swells with Jack McCoy in 1976 and created the surf magazine Backdoor. His 1982 epic film Storm Riders propelled the sport out of its competitive realm to an actual way of life—one with a distinctive and radical culture. 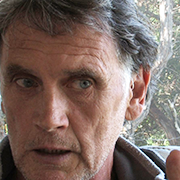 As a true creator, he continues to define and shape surf culture. 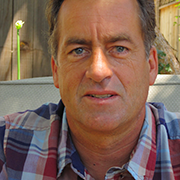 Hoole contributed his widespread experience and knowledge to this film, enriching it with his dedicated support and traveling over 5,000 km with the crew, from Australia to California. 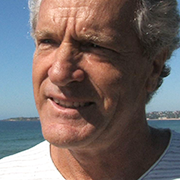 Australian filmmaker Falzon began shooting surfing films from the late 60s, releasing several masterpieces. Among them, the ultimate surfing cult movie, Morning of the Earth, has sustaining appeal for its spiritual ambiance and metaphysical expression, enchanting surfers worldwide. A surfing great with unparalleled achievements as top competitor in both the amateur and professional leagues in the early 70s, “MP” was the only rider to win all of Australia’s major contests. 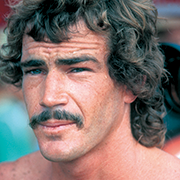 His radical riding style made an indelible mark on the surfing world. He passed away suddenly in 2012. A master surfer and shaper, Lynch is regarded as the inventor of “vertical surfing,” a groundbreaking style which revolutionized board riding from that time onward. His reservations towards media hype of surfing as a competitive sport set him apart and enshrouded him in a mysterious cult-like veil. 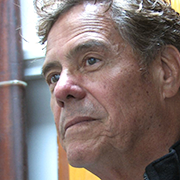 His spiritual and purist approach to surfing has had a large impact on surfers worldwide. A young and innovative surfboard designer and shaper, Daniel follows in the footsteps of his father, Mark Thomson, an accomplished surfboard craftsman, and has been strongly influenced by surfer extraordinaire George Greenough since childhood. Although he is an occasional competitor, he pursues surfing as more of a spiritual endeavor through his board design and shaping. An American surfer, photographer, and musician, Miller was the 1965 U.S. surfing champion and one of the pioneer big-wave riders who took on the towering surf breaks of Hawaii. 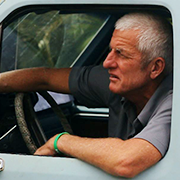 In 1970, he moved to Byron Bay in Australia, and through writing and personalized surfing instruction there, he more than fulfills his role in contributions to surf culture and environmental awareness. Along with his success as a two-time longboard world champion, Tudor’s achievements surpass the competitive scene with his classic and graceful riding style that generated a global longboard revival and has had a huge impact on surfing culture since the late 90s. John was one of the first to conquer the sacred O’ahu Pipeline, riding backside on world’s most beautiful and dangerous waves. Early in his career, Peck began his pursuits surfing in tandem with yoga. 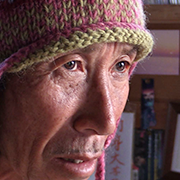 He now lives alone in a small house with only a board and a car to take him to the waves, and is a spiritual leader who continues to influence surfers worldwide. 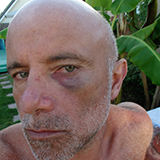 This devoted surfing journalist forged his way to the world’s premier surf magazine, The Surfer’s Journal, which not only features wave riding as a recreation or sport, but documents the surfing world with spectacular photography and top-caliber journalism. A pioneer surfer and surfboard shaper, Frye set the trend for board designs in the 60s. His master craftsmanship elevated surfboard shaping to an art form, giving his “magic boards” an unrivaled riding feel. 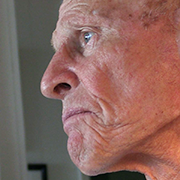 Even in his 70s, Frye continues to ride the waves and shape surfboards. A charismatic surfer who dominated the surf scene from the 80s to the 90s, Curren set the global bar for surfer “cool” with his good looks and smooth, powerful riding style. After winning his third world championship, he retired from pro surfing while still in his prime to focus on his original free-surf style and music. This film captures his Japan visit with his pro surfer daughter to Japan’s Curren’s Point, an exposed point break in Miyazaki, Kyushu, named after his famed 1991 big-wave ride. Billauer is a surfer and social activist, who was on a fast track to pro surfing when he became paralyzed from the chest down after fracturing his neck in a surfing accident in 1996. He went on to help develop a board ridden on the belly that can take off without paddling. Along with surfing, Billauer travels the speaking circuit to motivate others with disabilities. 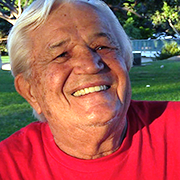 As a legendary waterman and lifeguard, Cunningham watched over the lives of Pipeline surfers for decades, saving countless lives. His pure mastery of body surfing—his boardless form fully harmonized to the motion of the waves—never ceases to mesmerize his onlookers. 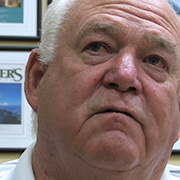 He is also an ecologist who has been persistent in efforts to protect the coastal environment. For more than two decades, Japan’s most celebrated samurai surfer has been challenging the big waves at Pipeline, where his take off point has been named “Wakita Peak.” A true sign of his global recognition, Wakita has been successively invited to the Quiksilver Eddie Aikau Memorial Contest, in which only the worlds’ genuine big wavers compete. One of the early big wavers and surfboard shaping pioneers, Brewer is credited for the shift from longboard to shortboard surfing in the late 60s. 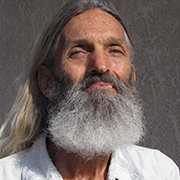 The revolutionary impact of his innovations in design and technique gave birth to an entire new dimension of surfing, inspiring surfing greats such as Gerry Lopez, and brought the act of surfing to a spiritual level. Originator of surfing journalism in Japan, Ishii was editor-in-chief of magazines Surfing World and Skateboard World before going freelance and publishing the book Surfing Classic in 1980. After completing Asian Paradise, a film about remote location adventure surfing that took three years of production, he suddenly vanished from the foreground of the industry. 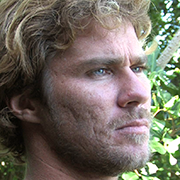 Relocating to a hut on an isolated island, he now lives off the land while practicing Zen and reconnecting with his spiritual roots, and pursues surfing as his spiritual training. 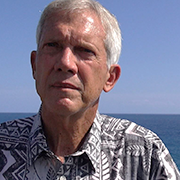 A surfing historian and writer, Clark is known for his multi-pronged explorations of the origin and historical evolution of surfing in Hawaii. His rigorous research culminated in the tour de force Hawaiian Surfing, an invaluable source for the appreciation of surf history and culture. Eleven-time world champion Slater is a surf king whose extraordinary maneuvers keep him active in the world’s pro circuit. In 2013, he contented himself with 2nd place in global ranking, but at 41, this performance was phenomenal. 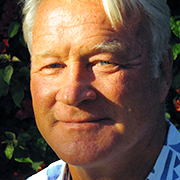 Rarick was the driving force behind the creation of the world’s first international professional surfing organization in 1976 (IPS) and served as head of the world’s top surf contest, the Hawaiian Triple Crown for three decades. 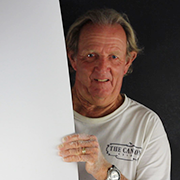 Surfing’s Renaissance man with a successful past as competitor, journalist, and shaper, Rarick is a global icon and leading authority in the industry. 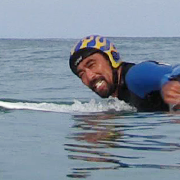 Lopez is the face of the surfing industry whose cameo appearance in Big Wednesday portrayed him as a demigod tube rider. In the 70s, his elegant riding style on the world’s most stunning and dangerous waves at O’ahu’s Pipeline made him king of Pipe. In expressing his skills with unmatched talent while pursuing his spiritual path through yoga and surfing, he bears the torch for surfers worldwide. Strauch was one of the exclusive members of “the father of modern surfing” Duke Kahanamoku’s surf team, and was one of the first big-wavers in Hawaii, exhibiting a graceful style that has had lasting influence. One of his largest contributions to the surfing tradition is his quiet promotion of the Aloha spirit that he acquired from Kahanamoku. 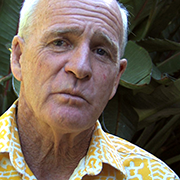 He is currently active in preserving and protecting surfing’s heritage for future generations. Fitzgerald appeared like a comet amidst the shortboard revolution, drawing global attention with his innovative speedy riding style. His title as the 1975 national champion in Australia boosted him into the limelight, and landed him in starring role of several surf movies. As a board builder, Fitzgerald’s exceptionally original shaping skills have earned him a solid fan base. 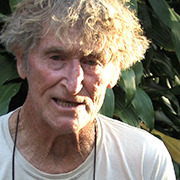 One of the legendary big-wave masters of Hawaii, Grigg was an oceanographer, experienced diver, an all-around expert on the ocean and a true waterman. 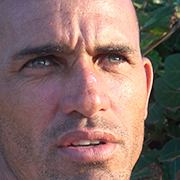 Although Griggs was fighting cancer during the time of this filming, he accepted what was to be his final interview in which he quietly reflected on the ocean, the spirit of surfing, and on life and death. He passed away in May 2014. 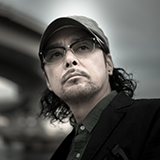 OLM, Inc. OLM Digital, Inc.
Mamoru Kimura is a Japanese film director who got his start in commercial film production. He eventually became involved in documentary programs with a focus on surfing, producing Asian Paradise—25 Years Later and As Long As There is Sea, the latter of which was produced a year after the 2011 Tohoku earthquake and tsunami. Aloha Death was conceived in 2008; Kimura’s experience of living through the 2011 disaster fueled his resolve to bring it to fruition. A product of over 3 years of extensive filming, Aloha Death is this director’s first full-length documentary feature. Starting with his 1994 debut album, DJ and producer DJ Krush reached international acclaim in the hip hop industry, topping various music charts with hits from his numerous award-winning albums. 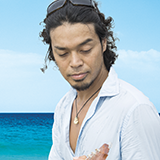 His sixth album Zen was awarded the Best Electronica Album at the 2002 AIFM Awards, and his eighth album Jaku ran at the top of MJ’s RPM chart for three consecutive weeks. He has remixed for Grammy–winning artists such as Herbie Hancock, k.d. lang, and Ronnie Jordan, as well as for Miles Davis, Black Thought, Galliano, Pete Rock, and Cold Cut. Krush has performed at over 200 festivals worldwide for over 8 million fans in more than 350 cities around the world. 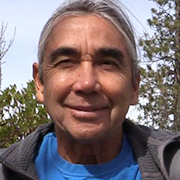 He is currently on an open-ended world tour that brings him to over thirty locations a year. Mamoru Kimura Japanese film director Kimura got his start in commercial video production and eventually became involved in producing documentaries with a focus on surfing. Asian Paradise—25 Years Later and As Long As There is Sea, the latter of which was produced one year after the 2011 Tohoku earthquake and tsunami, is considered his masterpiece to date. In his spare time, Kimura travels around looking for prime surfing locations. Piers Faccini is an English painter and singer–songwriter born in London to an Italian father and an English mother. Faccini studied painting at the École des Beaux–Arts in Paris in the early 90s before first appearing on the music scene in London in 1996 as co–founder the band Charley Marlowe with poet Francesca Beard. He has released six albums, Leave No Trace (2004), Tearing Sky (2006), Two Grains of Sand (2009), My Wilderness (2011), Between Dogs & Wolves (2013), and Songs of Time Lost (2014). 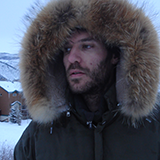 Faccini has recorded and collaborated over the years with numerous musicians and singers including Ballake Sissoko, Vincent Segal, Ben Harper, Rokia Traore and Ibrahim Maalouf, and has composed several scores for film and television. Since recording his debut solo album, he has toured worldwide. His most recent album, Songs of Time Lost, was one of NPR and Songline’s top ten world music albums of the year. A gifted guitarist from Japan, Saito was the first Japanese artist to have a debut album with Spanish label Fresh Sound Records. He has since released six albums and two singles and endorses Ibanez Guitars (creating an original signature guitar “The Sea”), and Yamaha Guitars and Keyboards, Koaloha Ukeleles, and Markacoustic Amps. Saito played with his own quartet at the world-famous 2009 Monterey Jazz Festival, and in 2011, he received the Best New Artist award at the 23rd Music Pen Club Music Awards, Japan's Grammy equivalent. Currently based in New York, Saito performs in Europe, North America, South America, Hawaii, Africa, and Asia. 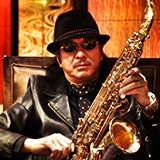 In September 2011, Saito played with Al Jarreau as a member of Jazz for Japan Allstars featuring Hubert Laws and Tom Scott. In 2012, he released his fifth album, Alfie with Will Boulware (keyboard), Richard Bona (bass), and Eric Harland (percussion). In 2013, he released his sixth album, Golden Circle. Nature and surfing are his solid passions. TTakahashi was the lead guitarist for GS (“group sounds”) Japanese rock band Zoo Nee Voo in 1969, and had a stint in England before returning to form JABB with ex-drummer of CAROL, Makoto Aihara, Megumi Sakamoto, and Sanae Nene. 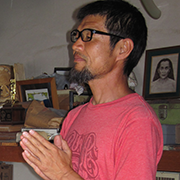 An active musician, songwriter, and composer, he currently resides on the island of Hachijojima. 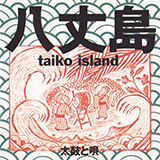 The beats of the Hachijo Taiko inserted into the film’s soundtrack are taken from Takahashi and Hoppy Kamiyama’s performance with islander drummers in 1995, and were recorded to preserve the traditional art of the Hachijo Taiko and bring its potent sound to a wider audience. Hoppy is a keyboardist, composer, arranger, and music producer in Japan, first debuting as keyboardist for the alternative pop band PINK in 1983. Today, Hoppy remains widely active in the underground music scene both at home and abroad, and is known as a pioneer of Japan's underground scene, collaborating with underground musicians around the world. Japanese saxophonist and composer Kanzaki’s first band Kanzaki on the Road ignited the jazz fusion boom in Japan. After his 1980 debut album Open My Road, he released two more albums before relocating to the US in 1986 where he became an active session performer. Two years later, he teamed up with Russ Freeman & the Rippingtons and other major artists to release the album, Kanzaki. After returning to Japan, he became intensely involved in music production for TV and commercials. Michael White’s version of Kanzaki’s “So Far Away,” the album’s title song, hit ninth place on the US jazz charts, and brought widespread acclaim to Kanzaki as a composer. Since then, he has been involved in projects across the globe and formed Asian Soul Brothers with close friend and fellow saxophonist Michael Paulo. Kanzaki has been on the performance list at the annual Temecula Wine and Music Festival in San Diego since 2009, gaining a wide fan base on the West Coast.